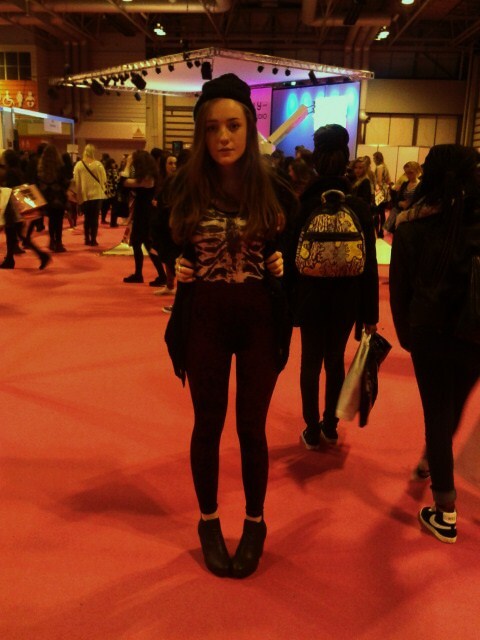 I visited the clothes show live yesterday, it was my second time going there and I really enjoyed it, especially actually seeing Henry Holland in the flesh and getting scouted for Teen Queen UK and Select Models, which was crazy!! 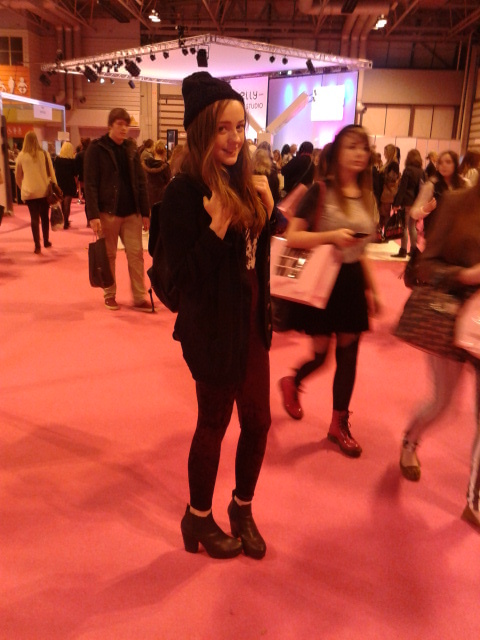 This year's show seemed a lot smaller than last years, but at least my feet weren't hurting as much, haha. Here is my OOTD for a long day of shopping (and people watching), which I think is one of my best (and hipster-ish...) if I'm being honest! 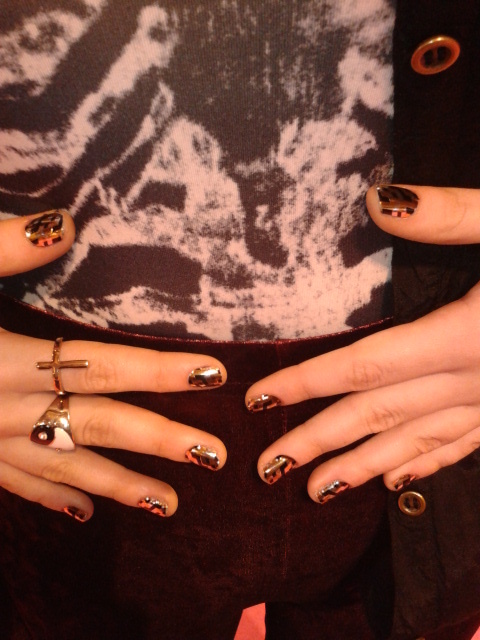 nails models own nail foils. I won a set of nail foils at the echo falls wine bar which were done for me there and then, thanks guys! yup, crappy phone pictures again. I wasn't driving back through all that traffic to get my camera. Love the nail foils, I've been thinking about getting some! They look so great! Love the nails. Maybe if you want we can follow each other? let me know :)! I LOVE the nail foils. I really love metalic (espes silver and rose gold) nail foils at the moment.